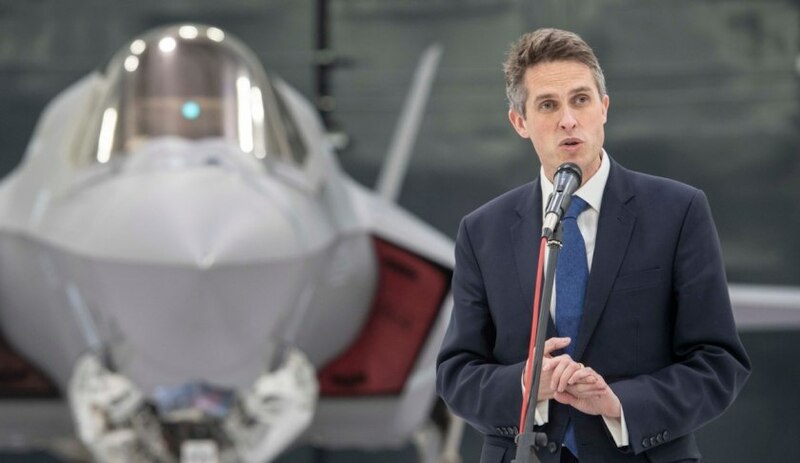 UK Defence Secretary Gavin Williamson has marked a major step-change in the air combat capabilities of the Royal Air Force, with the nation’s growing fleet of F-35s reaching initial operating capability. The F-35 Joint Strike Fighters will form the backbone of the UK’s combat air fleet alongside the Typhoon jets, which the Defence Secretary also announced have now been fitted with a state-of-the-art complex weapons suite to vastly increase its capability. Under ‘Project Centurion’, worth £425 million ($754 million) over the past three years, the Typhoon now has deep strike cruise missile Storm Shadow, air-to-air missile Meteor and the precision attack missile Brimstone at their disposal. It means the jets have boosted capabilities to intercept airborne missiles and strike ground-based targets, seamlessly taking over from the Tornado’s attack role as it nears retirement. "The incredible F-35 jets are ready for operations, a transformed Typhoon has the power to dominate the skies into the 2040s and we continue to look even further into an ambitious future. The RAF has long shown Britain at its great and global best, and today it lifts our nation to even greater heights," Secretary Williamson said. The year ahead will see the F-35 Lightning pilots and ground crew continue to learn how to operate and maintain the jets in the new centre, which features state-of-the-art simulators, classrooms and physical aircraft mock-ups. UK Chief of the Air Staff, Air Chief Marshal Sir Stephen Hillier, reinforced the secretary's statements. "I am proud to confirm that the RAF’s Combat Air capability has taken yet another significant step towards the realisation of our Next Generation Air Force. With its cutting-edge stealth technology, our F-35s are now ready to deploy on operations and, alongside our combat-proven Typhoon, offer a step-change in our ability to employ air power around the world," he said. As part of developing and enhancing the air combat capabilities of the Royal Air Force, the RAF has trialled and focused on developing the interoperability capabilities of the Typhoon and F-35. "Furthermore, the successful integration of Stormshadow, Brimstone and Meteor on Typhoon completes and enhances the transition of world-class capabilities from Tornado and allows a stalwart of the RAF’s Combat Air inventory to retire from service," Sir Stephen added. With its larger payload and increased agility and range, the Typhoon will operate in concert with the stealthy F-35 and its next-generation sensors, making the RAF one of the few air forces with the ability to exploit the synergy of fourth and fifth-generation combat aircraft and delivering the UK a potent force equipped to counter evolving threats in the global environment. Recognising the global industry benefits of the F-35 program, military engineers and personnel have worked together with hundreds of UK workers from British defence firms including BAE Systems, MBDA and Leonardo to reach the milestone and support the operation and sustainment of the UK's growing fleet of the F-35. Around 150 UK personnel had been working with the jets in the US before the first batch of aircraft came to the UK last summer. Not only does the program offer the UK a game-changing military capability, but with British industry manufacturing 15 per cent of a global order book of over 3,000 jets, it supports around 25,000 UK jobs and is projected to be worth around £35 billion ($62 billion) to the national economy. Ten nations are currently flying F-35s, including the US, UK, Italy, Norway, Israel and Japan. Over the coming years, Australia will purchase 72 of the advanced fifth-generation fighter aircraft as part of the $17 billion AIR 6000 Phase 2A/B program – which is aimed at replacing the ageing F/A-18A/B Classic Hornets that have been in service with the RAAF since 1985.